Vaccines are now available in Britain to protect sheep and cattle from Bluetongue. Bluetongue vaccines for sheep and cattle are now available across Britain, with supplies approved for use in vet practices. There is a high risk of an outbreak of Bluetongue (BTV-8) towards the end of the summer as a result of infected midges being blown across the English Channel from France, where the disease is present. The disease affects all ruminants, but particularly cattle and sheep. It poses no threat to human health and does not affect meat, milk or other animal products. Vaccination is the best way to protect Britain’s livestock, and farmers are being encouraged to talk to their vets to decide if the vaccine could help their businesses. It’s fantastic news that the vaccine is now available. This is the perfect time to talk to your vet as the vaccine is the only effective tool to prevent illness. I am urging our livestock farmers to keep an eye out for any signs of the disease and report any suspicions to their vet and the Animal and Plant Health Agency immediately, so we can work together to reduce the possible spread of Bluetongue this summer. The vaccination has to be given by injection twice (three weeks apart) in cattle and sheep, so it can take up to six weeks for the animal to be fully immune. Two companies, Zoetis and MSD, have announced that they are making a vaccine available in the UK. Zoetis’s Zulvac 8 Bovis and Ovis vaccines are now available, with MSD Animal Health set to deliver its Bluevac BTV8, a single vaccine for both sheep and cattle, in the coming days. Both suppliers are confident there is enough vaccine to meet demand so that all farmers who wish to are able to vaccinate their animals now in GB. The Government has robust disease surveillance procedures in place and is working closely with the Devolved Administrations and the livestock industry. Restriction zones are already in place in France, to control the spread of the disease. If BTV was found in Great Britain, similar measures such as movement restrictions would be put in place in line with the disease control strategies. Farmers and vets who suspect bluetongue must report it immediately to the Animal and Plant Health Agency on 03000 200 301. For more information on Bluetongue visit the Joint Campaign Against Bluetongue (JAB) pages of the National Farmers Union’s website. If you use rat poisons then you need to read this! That famously misquoted line may soon be a phrase more likely to be spoken by many a farmer and smallholder following new rules on the purchase of rodenticides, that come fully into effect from the end of September this year. If you belong to neither of the above group then you are left with two options 1, employ the services of a professional pest controller who possesses the correct authorisations or 2, purchase and use amateur rodenticide bait but do note that these are likely to be in pack sizes less than 1.5 kilograms and may well be prepared in ready to use blocks or sachets. It is of natural concern that prices for pest controllers and the purchase of amateur packs is likely to go up. And the ability to buy in bulk will no longer be an option without a certificate. In the very short term it is still legal to buy and sell all of the existing products until the end of September this year but do note that the legal position is that all existing stocks should be used up or disposed of by the 31st of March 2017. It should be noted that it has only been following the intervention of the NFU and the UK government in delaying the implementation of the scheme that we have had a window of opportunity to allow adequate preparation and the creation of bespoke training courses. More information on the new rules is also available on the above website. Please note that there will still be a requirement to attend a one day course and/or sit an exam and the following websites offer more advice on that line though as these regulations are new more training and new information is becoming available. The EDP on 20th Feb 2016 published a warning that there is a high risk of blue tongue returning this year, especially later in the year when it may be blown over from the continent via midges. 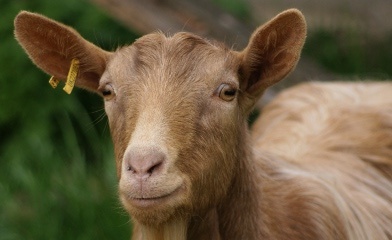 The last outbreak in 2007 caused us to have our animals vaccinated and several goats had breeding problems as a result. Blue tongue mainly affects sheep but cattle and goats can also be affected. Symptoms include: ulcers in the mouth, discharge from the mouth and nose, swelling of the mouth, head and neck, red skin, and lameness. It's important that we are all fully aware of the symptoms, and contact the vet immediately if blue tongue is suspected.